The Bernina Bernette Chicago 7, the first machine in the Bernette Sublime series that can both sew & embroider. Fulfilling your every aspiration, the Bernette Chicago 7 is sure to impress with it's robust contruction & appealing design. The Chicago 7 sewing and embroidery machine boasts high quality workmanship at a reasonable price, meeting the expectations of both new and experienced sewist's.As a fully-fledged sewing and embroidery machine, the Bernette Chicago 7 leads a double life. 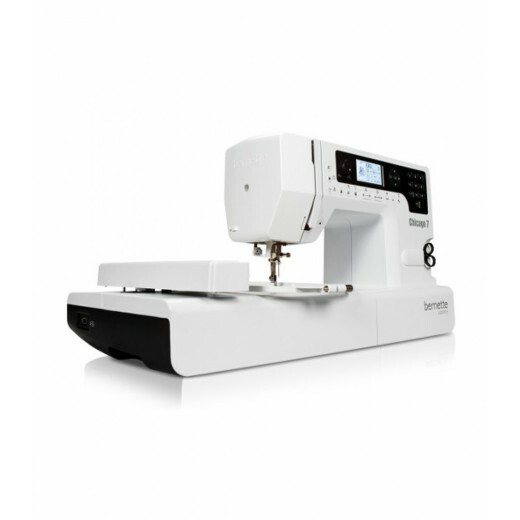 Not only does it make sewing garments or quilting a peice of cake; attatch the embroidery module and in seconds the Bernette Chicago 7 is transformed into an embroidery machine. 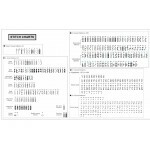 Selecting embroidery module takes you to the embroidery area , where a selection of 100 built-in embroidery designs and an embroidery font are available. All designs can be rotated or mirrored, and additional embroidery designs of your own can be added via USB stick. 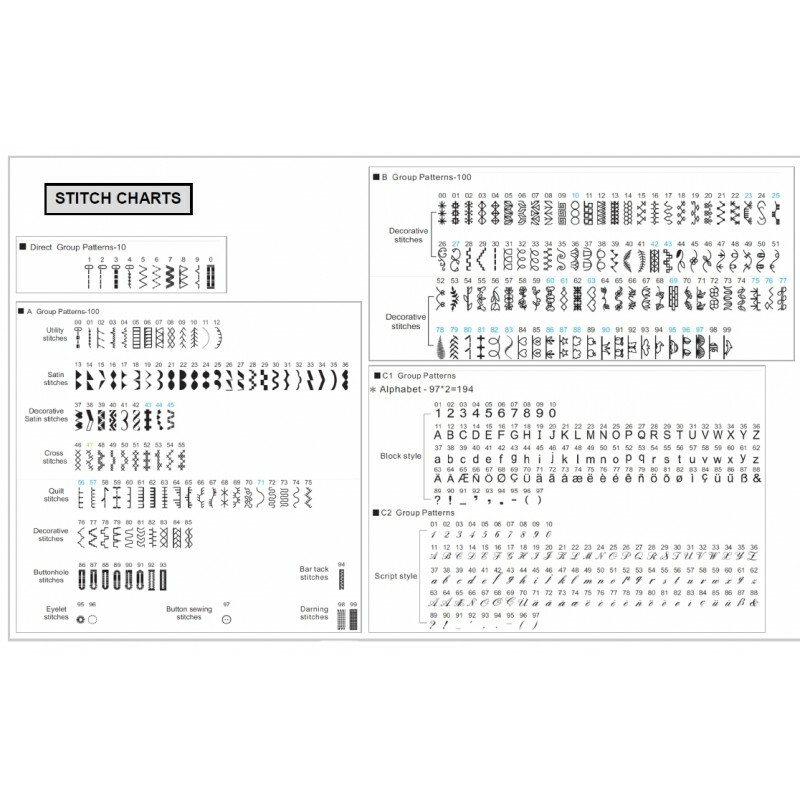 The maximum embroidery area of 110 x 170mm allows attractive custom embroidered embellishments to be applied to self made or purchased garments and furnishings. Compatability with the Bernina CutWork software and accessory gives the especially creative sewer the additional option of forging ahead in another creative dimension - creative cutting! Whether it's eyeley embroidery, openwork designs or stamping, the Bernette Chicago 7 with amaze you with it's versatility.